Sheep and Tigers are compatible and the year of the Ram promises to be a good year for you. You have boundless energy, an unusual amount of optimism and confidence. For those born in the year of the Tiger, the year of the Ram will bring positive energy and good tidings. This is the time to go after the things you want and try and make your dreams come true. You feel like you can achieve anything this year and with enough hard work and determination, you can. 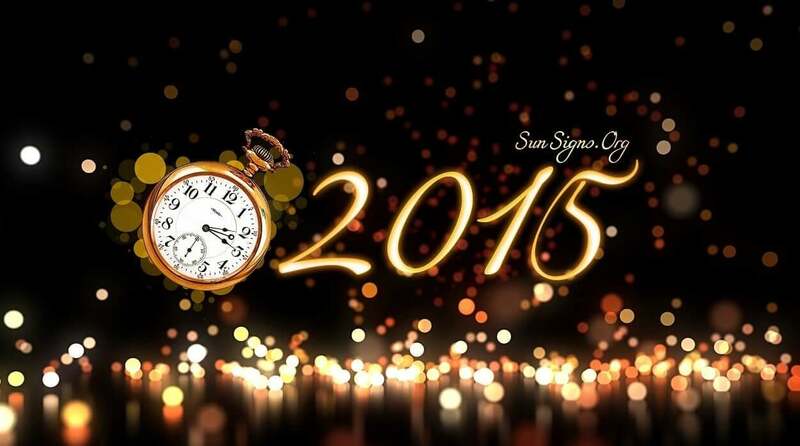 2015 promises great things for you, including new adventures and opportunities. 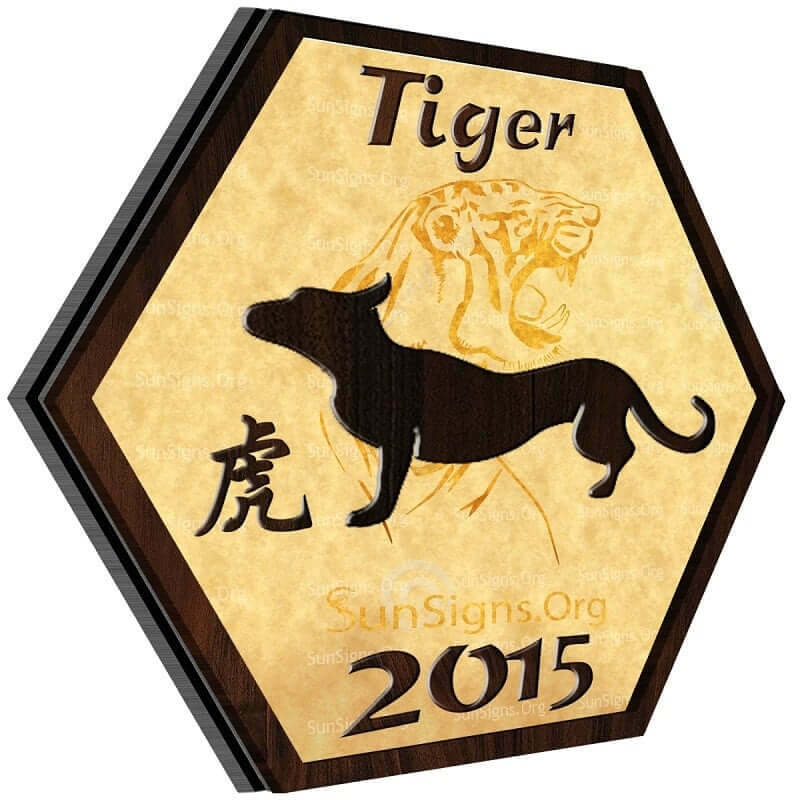 The Year of the Goat 2015 is a good year for Chinese Tiger zodiac sign. Everything is aligned for you and you feel more confident than ever before. You know what you want and you are going to do everything you can to achieve your goals. The universe has great things in store for you in 2015, Tiger, you just have to go looking for them and make the most out of opportunity that you’ve been given. Also be ready to face the effects of Mercury Retrograde. You feel great about the world this year, forecasts the 2015 Tiger astrology and if you are attached, this is a good time to take the next step. The year of the Ram is a good time to begin a marriage or renew your wedding vows. Your spirits are high this year and why not use the time to reaffirm your love? If you are single, this is a great time to put yourself out there and show the world how fabulous you are. If you play your cards right, you could meet that special person with whom you will share excellent love compatibility. You have clear career goals Tiger and 2015 is a great time to pursue them. Figure out what you want and what you have to do to achieve it and the rest should fall into place. This is a good time to take on extra projects and responsibility and show your superiors how valuable you are. You’ve been frugal the last few years Tiger, but this is a big year for you and it’s OK to make some big splurges. You are thinking about some major life changes, ones that can be quite expensive. The Chinese New Year 2015 horoscope predicts that this may be the time to spend some of the money you’ve been carefully setting aside. It’s not a good idea to make large, impulsive purchases. But there’s nothing wrong with spending money to make your dreams come true. It’s time for you to reap the rewards of your hard work and frugal ways. The overall health for the Tiger sign will be excellent in the Year of the Green Wood Sheep. Just don’t abuse it. Make sure to exercise on a daily basis. The 2015 Chinese astrology predictions for Tiger forecasts that maintain a healthy diet and regular exercise regime will pay you dividends. The 2015 Chinese zodiac predictions for the Tiger show good fortune in all aspects of your personal life. Your friendships and family relationships will settle into a comfortable pattern, with no major stresses or conflicts. This is a good time to expand your family, if you have been contemplating children. It is also a good time to meet new people and make new friendships. 2015 is a good year for big life changes for you, born in the Year of the Tiger. If you have been considering purchasing a new home, this may be the time to do it. This is a good year to go after the life you want to have and if you have the chance to buy the house you dream of, you should take it. This is going to a good year for the Tiger animal sign, but it’s also a good time for you to give back. This year you should look into expanding your volunteer efforts. Helping others will leave you feeling fulfilled and satisfied this year. 2015 promises so many good things for you and it would be nice to pass on those good tidings and help the less fortunate. 2015 is also a great year for Chinese Tigers to travel. There is a whole world out there, just waiting for you to explore it. It’s a good time to visit new places, learn about new cultures and meet new people. This is a year of endless possibilities for you and you should explore each and every one. Tigers are great! The tiger that I have wants to be great friends and anything else down the road. I love people who want a relationship by first building a friendship. Friendship never ends. He’s a cancer tiger. He wants me for my mind and to talk to me first. Every else will come later. I only want him with all my heart. But there are times I have to pull back. I believe it call moderation and that what tigers need. I’m not perfect. I know he corrects me too. We do have the yinyang and I’m graceful that he is the sensitive type. GO TIGERS!! !